You may know Jimmy Dean from his fine line of sausages and other breakfast accessories. Or possibly from his many TV appearances as both a host and guest star. Or maybe in his most prominent acting role, featuring alongside Sean Connery in the James Bond movie Diamonds Are Forever. But Dean started his entertainment career as a country singer, a profession he continued to maintain for four decades. 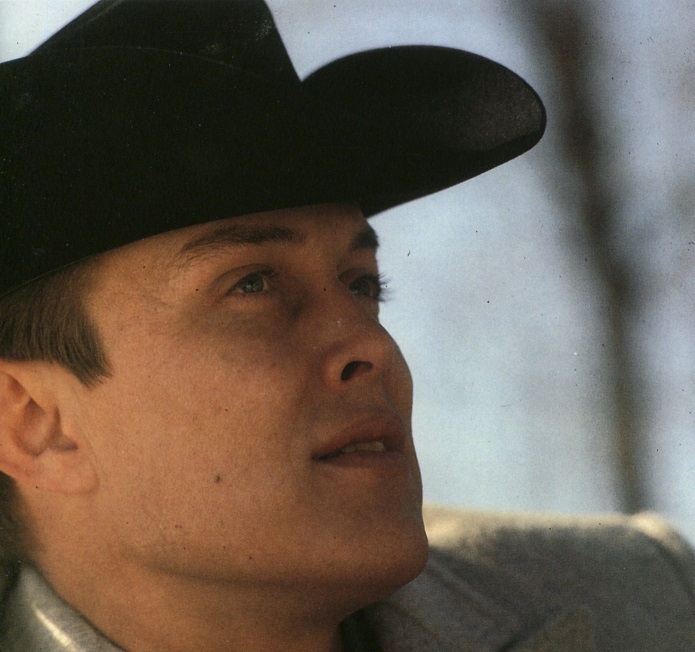 Jimmy Dean began with a bang as he scored a Top 5 country hit in 1952 with his very first single. Unfortunately, repeat success proved elusive as his next 21 straight singles failed to make even the lowest reaches of the country charts. Zoinks! Two very minor novelty pop hits weren’t much help and Columbia Records started to mull over the possibility of dropping him from their artist roster. On a flight from New York to Nashville for perhaps his last recording session, Dean realized he needed one more song to meet his contractual obligations. Thinking of an actor he had met in a play the previous summer, a 6’5″ tall drink of water named John Minto whom Dean had dubbed “Big John,” the idea for a song stirred in the brain of the future sausage king. What Dean came up with on that flight was an American folklore character in the grand tradition of Paul Bunyan and John Henry, a larger than life hero. 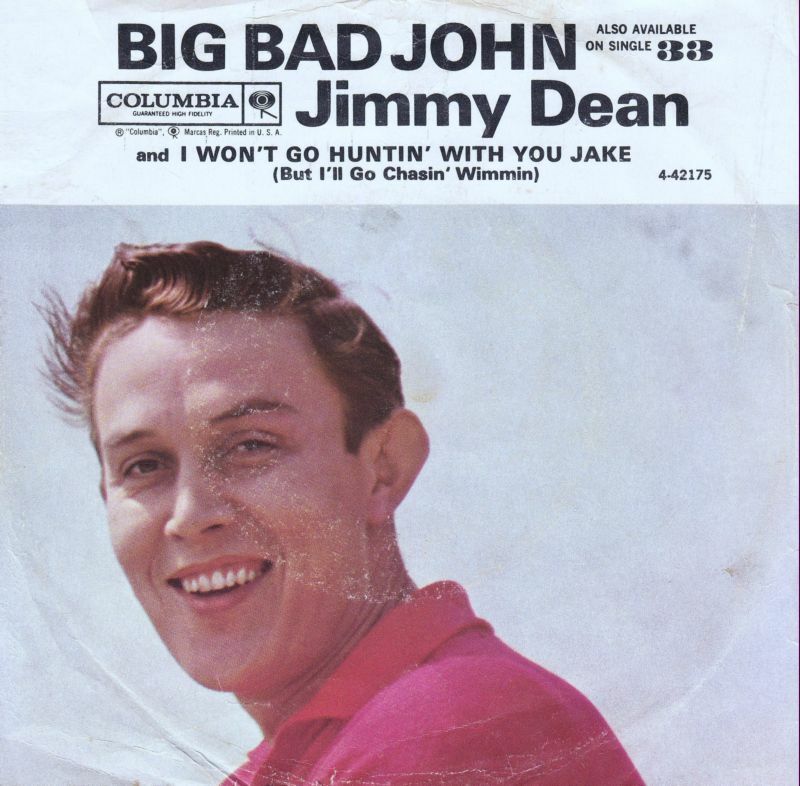 Ensconced in the studio, and with the help of famed Nashville cats Roy Acuff and Floyd Kramer, Jimmy Dean quickly recorded the legend of the miner known as “Big Bad John.” When released as a single in September of 1961, the record shot straight up to #1 on both the Pop and Country charts, as well as the newly created Adult Contemporary chart. The success managed to save Dean’s bacon. So sit right down and listen to the tale, and don’t give no lip to Big John.